It’s Not a Romance… Oops! Happy National Love and Chocolate Day!!! Here is a poem for you… Today all the authors are sharing about their romance novels, running giveaways and promos, and injecting cute graphics into my social media feed. Naturally, I thought today would be a perfect day to share about my romance novel Kiera. Except, minor problem. Kiera … More It’s Not a Romance… Oops! 106 Comments It’s Not a Romance… Oops! How are you liking the Five Fall Favorites party? Found any new good books to read? 😀 I know I’ve been enjoying talking with you all and hearing your favorite books and recommendations. It’s been quite a lot of fun, and I’m so glad you all could come! ❤ So, while this is not the … More Pssst… Prize Update! 20 Comments Pssst… Prize Update! What’s this all about? Why are we celebrating Christmas in July? Well, some authors, bloggers, and I wanted to give you all some sweet deals. When it is scorching hot outside, we need a reminder of cold and cozy days. It’s never the wrong time of year to celebrate Christ’s birth. 😉 So, here’s the … More Christmas? In July? 11 Comments Christmas? In July? This is not an official posting day for me, but I thought I’d just pop in and tell y’all who won the Kiera giveaway! Using the randomizer thing on the Rafflecopter widget, I drew a winner and all of this lovely stuff goes to… Brianna! (View on the widget) Congratulations, Brianna! Your treasure package will … More Kiera Giveaway Winner! 12 Comments Kiera Giveaway Winner! Hi, y’all!! This is officially the last day of the tour, but don’t leave yet! I have just a few more special things to share with you. 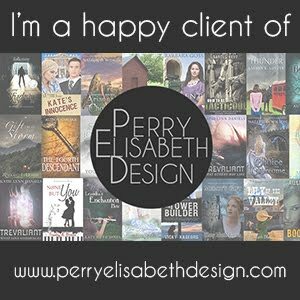 😉 Today’s awesome bloggers Victoria Lynn spotlighted Kiera and had me share a short guest post. 😉 Abigail wrote a review and made me chortle aloud with the … More Kiera Blog Tour: Wrap-up! 11 Comments Kiera Blog Tour: Wrap-up!